1) Authors have to submit Manuscripts online Submission Link in .doc or .docx form as per guidelines given in paper format. 2) Submission of a manuscript to IIT-RD indicates that submitted paper has original work and should not have been published previously or be under consideration for publication elsewhere simultaneously. 3) Once the paper is accepted, the authors have to cede copyrights of the paper to IIT-RD by submitting copyright form Copyright form Link , duly filled form should be submitted to editor@iit-rd.com. 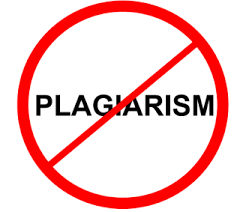 If authors use any copyrighted material, authors must take permission for the same. Authors will totally responsible for authenticity, validity, originality, facts, views and results in article/paper/case study. 4) Once accepted they will not be withdrawn at any condition. When the manuscript is accepted for publication, the authors agree to automatic transfer of the copyright to the publisher. Editor board send mail to author about the status of manuscript. If manuscript is accepted, author is requested to submit filled copyright form. If manuscript is accepted with modification, author is requested to do the modification mentioned in mail. If manuscript is accepted, author will send filled copyright form (link) and final manuscript (if any modifications are suggested by panel) in .doc or .docx form to editor. Publisher will publish the accepted manuscript and give the confirmation to author. Chief Editor sends e- copy of certificate to authors.